LIsten to “Can’t Leave The Night,” the first single from BADBADNOTGOOD’s Innovative Leisure debut, III. BADBADNOTGOOD is the Toronto-based trio of keys player Matthew Tavares, bassist Chester Hansen and drummer Alex Sowinski. They're the rare group of conservatory-trained jazz musicians who first bonded over a mutual love for contemporary, blog-friendly hip-hop, which is why they were probably super stoked when Tyler, The Creator discovered a YouTube video of a series of Odd Future covers they made for a class at the Humber College jazz program, and helped it go viral. Since then, between standing in as an occasional live backing band for Odd Future and Frank Ocean, producing a song on Earl Sweatshirt's 2013 LP, Doris, and collaborating with the likes of Danny Brown and Doom, they've also managed to record three solo LPs, the most recent of which, III, is their first proper studio release, due out May 6th via Innovative Leisure. We're streaming the cinematic, minor-key first single, "Can't Leave The Night," below, and while the palette and production feel somewhat post-rock, it's got the sort of grand rhythmic and dynamic contrasts that wouldn't feel out of place at a warehouse rave. SXSW dates below. 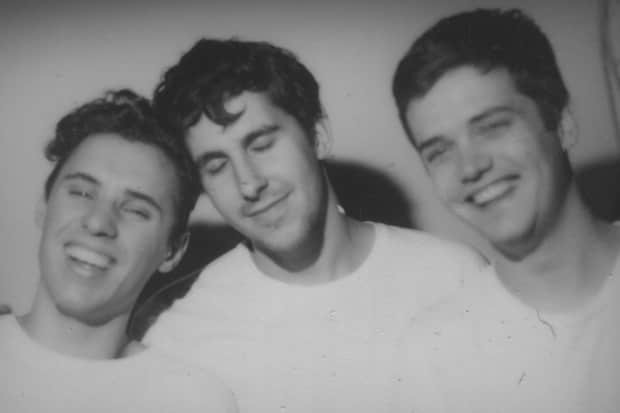 Stream: BADBADNOTGOOD, "Can't Leave The Night"